It’s finally summer break! That wonderful time of year when I can shut my brain off entirely–no reading, no writing, no thinking. That’s the goal, anyway. What ends up happening is a week of mindless Netflix binges (this year it’s Suits, because I want to see Meghan Markle pre-princess), romance novel reads, a few days at the beach, a few household projects tackled. Then it’s right back into teacher mode, even when I don’t want it to be. I can’t seem to turn off my teacher brain, even when I crave the break from the school year summer provides. I grapple with this every summer. As a new teacher, I tried to make myself take the whole summer off from thinking about teaching, feeling like I was doing something wrong when I started doodling writing units or reading activity ideas. Later in my career I felt satisfied if I could turn off my teacher brain for just the month of June, and get back into the swing of things starting July 1. We all need breaks. 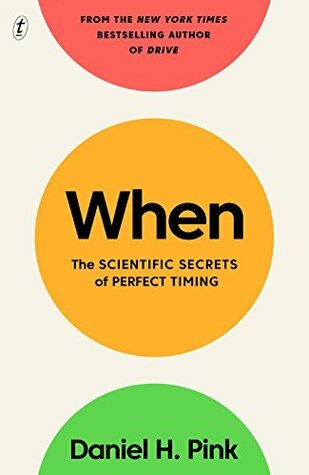 Daniel Pink’s latest book, When: The Scientific Secrets of Perfect Timing, reminded me of that. He gives some background on the effectiveness and helpfulness of “vigilance breaks” and “restorative breaks,” the latter of which are taken to help sharpen our mental acuity after too much thinking and focus around one task. Without breaks, we lose motivation, make more mistakes, and work less efficiently. Teachers, you deserve a break. This summer, I hope you’ll find balance as you sink into your off-duty teacher self: taking classes, scrolling Twitter, reading and writing at a pace without deadlines. I hope you’ll embrace the fact that even outside the school year, you can’t turn off the teacher. Shana Karnes is spending her last summer in West Virginia exploring the wild and wonderful state, taking her kids to various WV landmarks, enjoying the mountains and history. She’s tackling all the projects she totally neglected during the school year–one of which is doing some writing for herself…even though that writing usually winds back around to teaching topics. Find Shana on Twitter @litreader. ← Thinking About Next Year – Already?